As Florida citrus growers decide how to use US Department of Agriculture (USDA) funding to recover from damages caused by last year's Hurricane Irma – and as they cope with the lingering impact of citrus greening - University of Florida (UF) researchers are suggesting varieties for them to replant. Producers can grow varieties that show tolerance to greening (huanglongbing) such as Sugar Belle, but it has a fairly narrow market window, said Fred Gmitter, a horticultural sciences professor with the UF Institute of Food and Agricultural Sciences (IFAS). 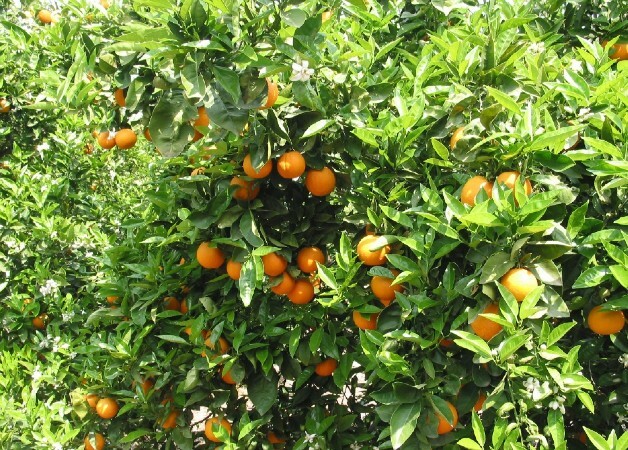 They could also plant the Orie Lee Late (OLL) sweet orange varieties, Gmitter continued, though they’re still “young” varieties, meaning they have only been available for around four to five years so there’s limited experience with them. Growers also can plant the UF/IFAS-bred ‘UFR’ rootstocks, which seem to make trees more tolerant to greening, especially when they’re combined with scion varieties like the OLLs and Sugar Belle, he said. “Industry is catching on,” Gmitter said. “Nearly 1m OLLs have been propagated by licensed nurseries, and there are also several hundred thousand UF/IFAS rootstocks out there too. Gmitter and Jude Grosser - a fellow UF/IFAS horticultural sciences professor - base their recommendations for the latest citrus varieties to plant on their cumulative knowledge from multiple trials. Grosser recommends combinations of citrus rootstocks and scions: “Nearly all trees in Florida groves are grafted combinations,” he said. In the field, about six to 10 inches above ground and down is the rootstock portion of the tree, Grosser said. Anything above this is the scion portion that produces the fruit. 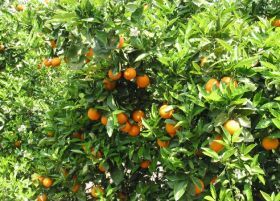 For example, for mid-season oranges, Grosser recommended Valquarius or Vernia scions on UFR-1, UFR-4, UFR-5, UFR-6, UFR-15, UFR-16 or UFR-17 rootstocks. For late-season oranges, new UF releases OLL-4, OLL-8 or Valencia B9-65 are good choices, on these same rootstocks, Grosser said.